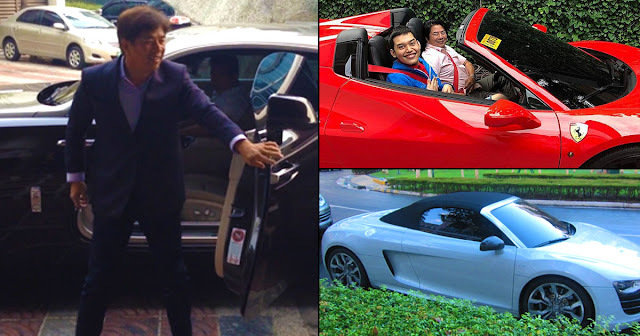 Home / Local / Showbiz / Talaga nga namang nakakalula ang koleksyon ni Willie Revillame ng mga mamahaling sasakyan at bahay! Talaga nga namang nakakalula ang koleksyon ni Willie Revillame ng mga mamahaling sasakyan at bahay! Did you know that YES! 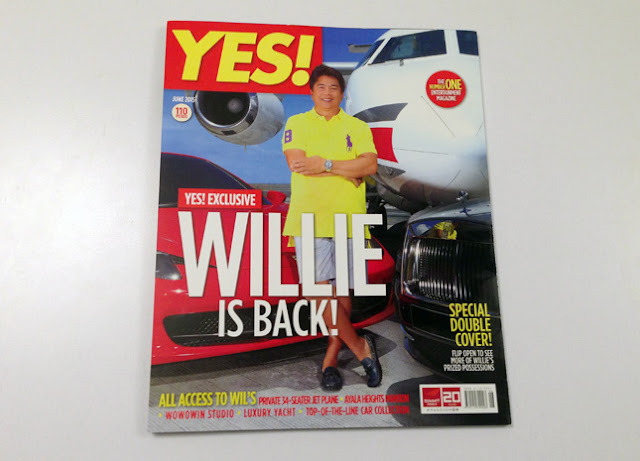 Magazine's top-selling issue to date is their January 2009 issue, when they had Willie Revillame on the cover? Well, it seems the prestigious magazine is ready to beat that record-- with the same man! That's right-- he may have just as much critics as he has fans, but no one can argue the intrigue and popularity of Kuya Will realy is a force to reckon with. To add to that, his collection of high-end luxury vehicles and a home is really something to many people aspire for! 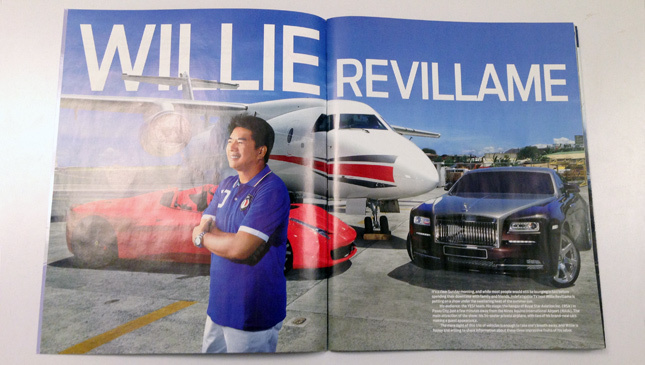 And in this June issue of the publication, Wille Revillame opens up his garage doors for all of us to drool over! 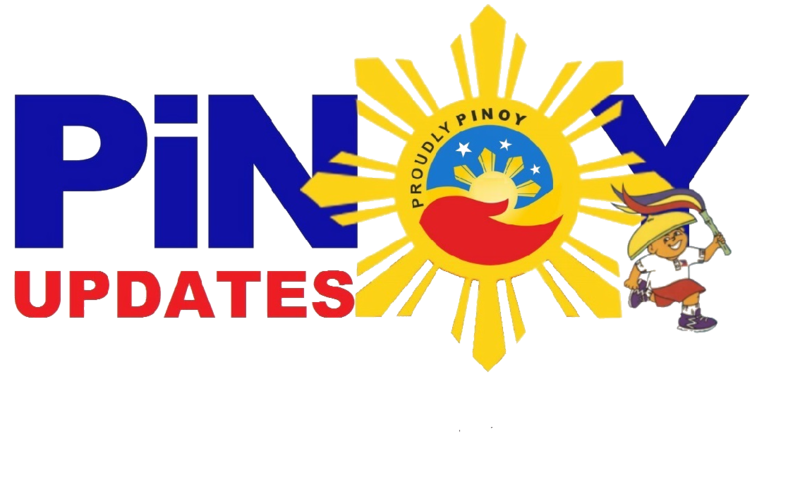 You might have already heard somewhere before that this guy earns at least a million pesos a day! Can you imagine all the luxury toys you'd get yourself if you earn as much as he does? Well, this man need not imagine! He has it all, including a Ferrari 458 Spider, and a Rolls Royce Ghost! Now, if you can believe it-- the sports cars aren't even the most impressive things on his collection of rides! Yup, it' not just rumors that this guy actually has his own private jet plane and yacht. 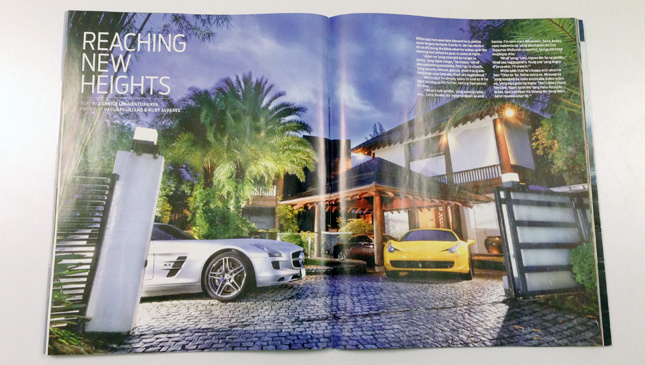 Here's another bonus treasure contained within the pages of this issue: Aside from his garage doors, Willie also opens up the gate to his main house in Ayala Heights, for the tour of a lifetime for the rest of us! Go ahead and feed those middle class aspirations! After all, if you can dream it, you can live it, right? Say what you want about the guy, but he is not made up of old money! He used to struggle financially like all of us, so the story of how he turned his life around to what it is today is truly an inspiration to us all.